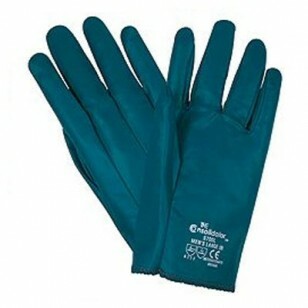 Glove features a tough nitrile coating for abrasion resistance and cut resistance on a comfortable stretch knit fabric. Its snug design allows maximum dexterity. Ideal for auto and battery manufacturing, can manufacturing, light fabrication, material handling, parts assembly and sheet metal. NOTE: This glove is no longer offered in Men's Large.